The Eagles moved up in the 2010 draft to secure an impact defensive end in Brandon Graham. 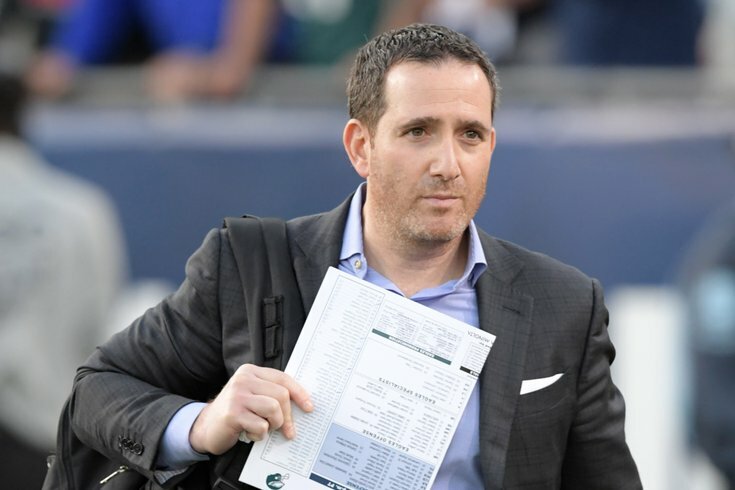 Before the start of NFL free agency, many (self included) thought there was a strong possibility that the Philadelphia Eagles would be taking a defensive lineman in the first round of the 2019 NFL Draft. Now that the first wave of free agency is over, that possibility is even stronger. At defensive end, the Eagles re-signed Brandon Graham, however, they traded Michael Bennett, and Chris Long's return for the 2019 season is in doubt. The Eagles need edge defender help both in the short-term and the long-term. At defensive tackle, the Eagles opted not to pick up Timmy Jernigan's option for the 2019 season, and they'll make an easy decision to move on from Haloti Ngata. While they signed Malik Jackson in free agency and Treyvon Hester showed some potential last season, the Eagles could certainly use more depth. They like to use a heavy rotation along their defensive line, and they can't continue to ask Fletcher Cox to play the number of snaps he did a year ago, at least if they want him to be an elite player for the foreseeable future. In a January press conference, Howie Roseman called this upcoming defensive line class "historic." Arguably the Eagles' biggest first-round need matches the biggest strength of this draft. However, by the time the Eagles are on the clock at pick No. 25, all the top-level defensive line talent, which is at a premium in today's NFL, could be gone. As such, many have speculated that the Birds could try to make a modest move up in the draft order to secure a defensive lineman who can make an impact. The Packers traded the 14th overall pick to New Orleans for the Saints’ first round pick (27th overall), their fifth-round pick (147th overall), and a first-round pick in 2019. The Ravens traded the 16th overall pick and a fifth-round pick (154th overall) to Buffalo for the Bills’ 22nd overall pick, and a third-round pick (65th overall). To note, the third round pick was the first pick in the third round. The Seahawks traded the 18th overall pick and a seventh-round pick (248th overall) to Green Bay for the Packers’ first round pick (27th overall), a third-round pick (76th overall), and a fifth-round pick (186th overall). The Browns traded the 12th overall pick to Houston for the Texans’ first round pick (25th overall) and a first-round pick in 2018. The Eagles traded the 22nd overall pick to Cleveland for the Browns’ first-round pick (26th overall) and a third-round pick (83rd overall). The Cowboys traded the 18th overall pick to San Francisco for the 49ers’ first-round pick (31st overall) and third-round pick (74th overall). The Bengals traded the 21st overall pick to New England for the Patriots’ first-round pick (27th overall) and third-round pick (93rd overall). The Chiefs traded the 21st overall pick to Cleveland for the Browns’ first-round pick (27th overall) and third-round pick (70th overall). The Patriots traded the 22nd overall pick to Denver for the Broncos’ first-round pick (24th overall) and a fourth-round pick (113th overall). In modest moves up (roughly 5-10 draft slots) in the back half of the first round, the most common compensation has been roughly a third-round pick. Of course, the Eagles don't have a third-round pick because they traded it for Golden Tate.